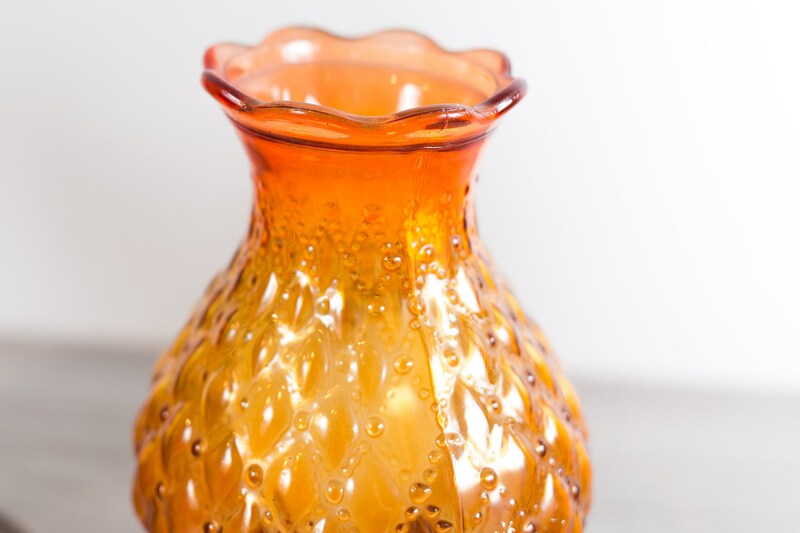 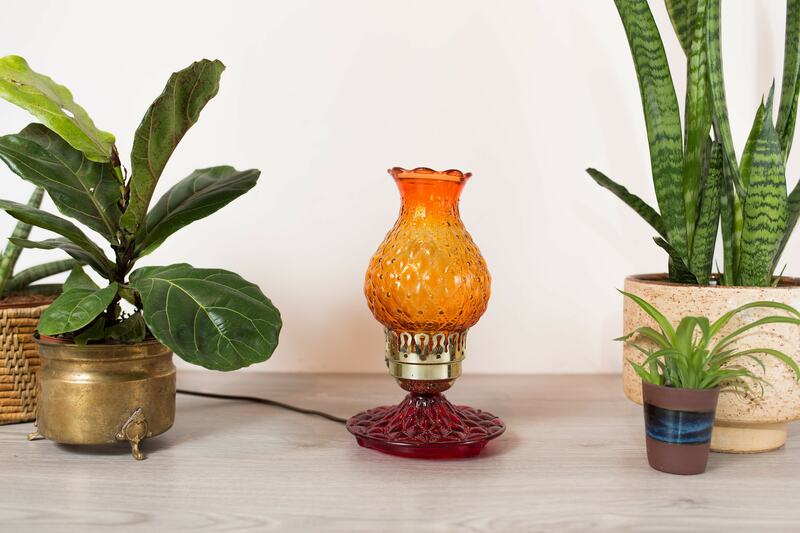 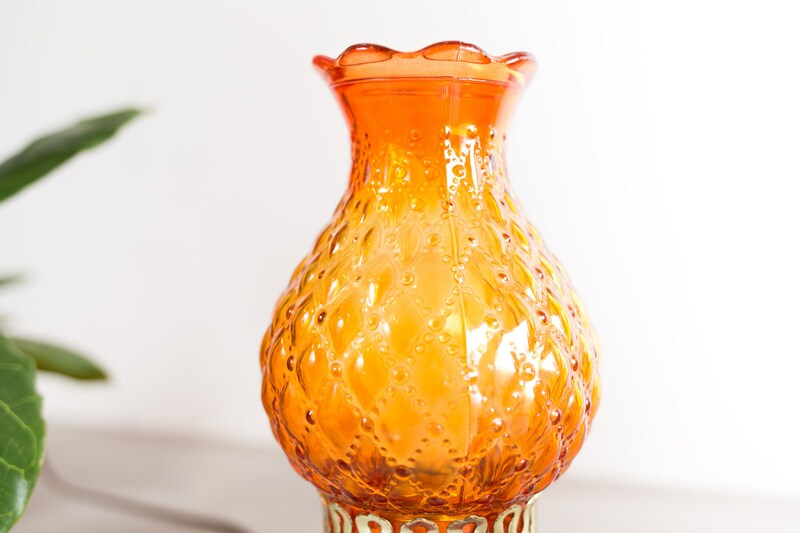 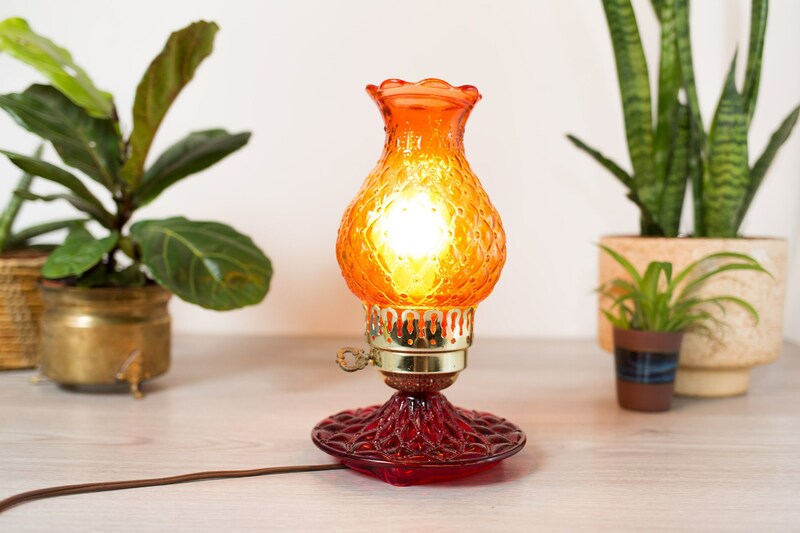 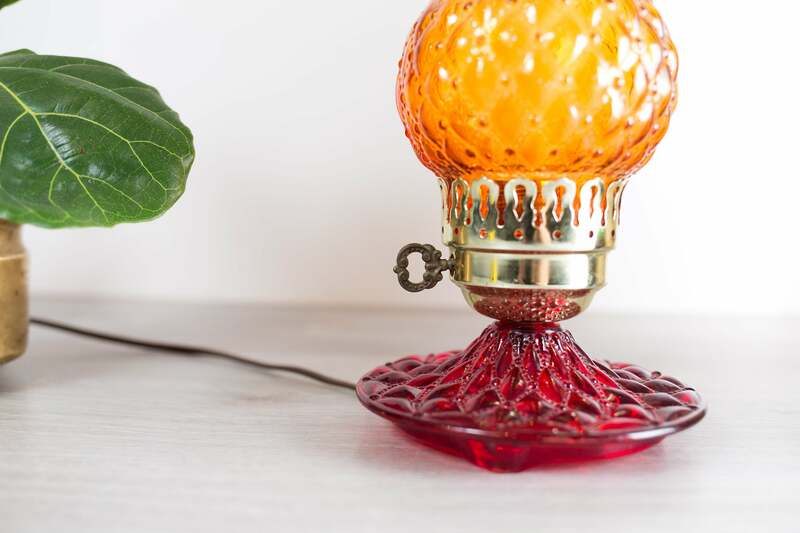 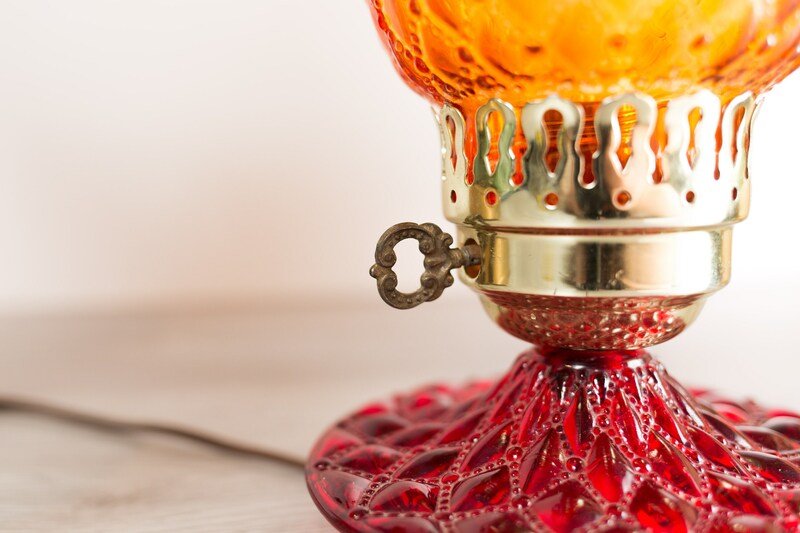 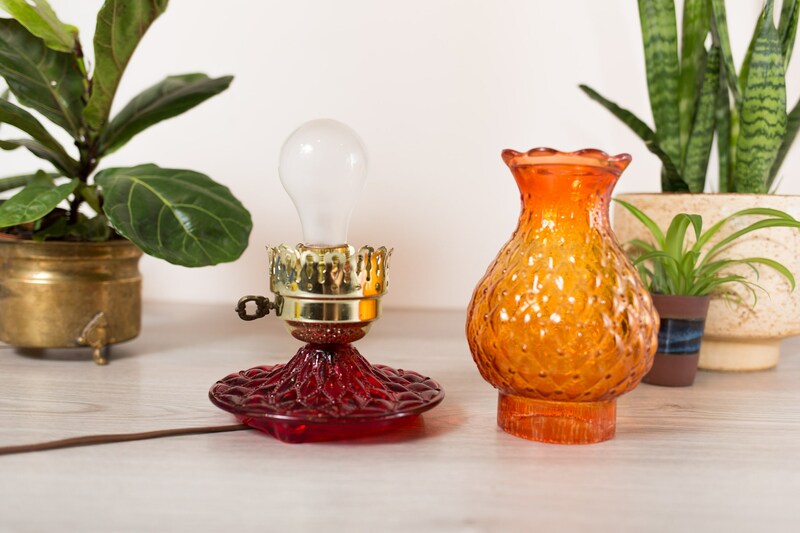 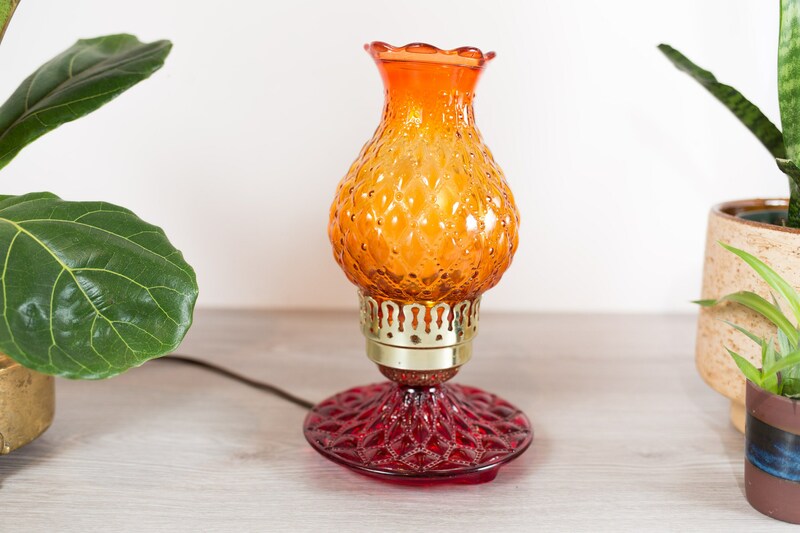 This is a wonderful glass table lamp with a red base and orange chimney. 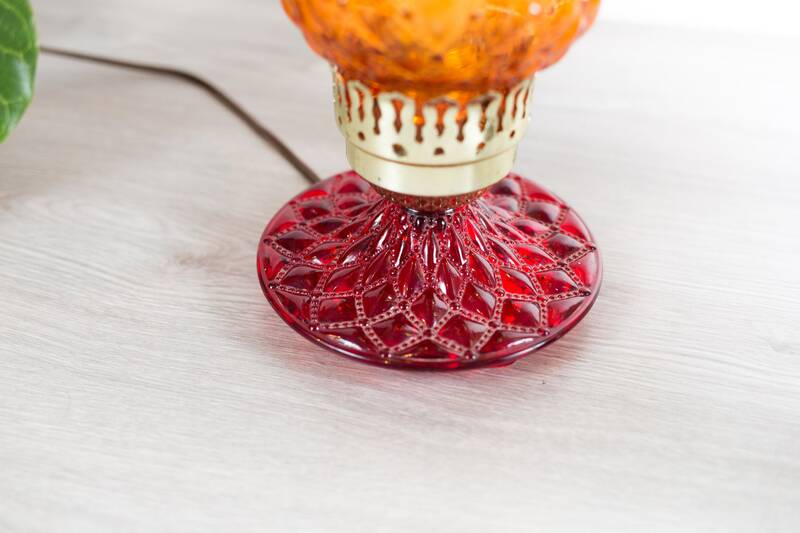 It is meant to look like an antique oil lamp. 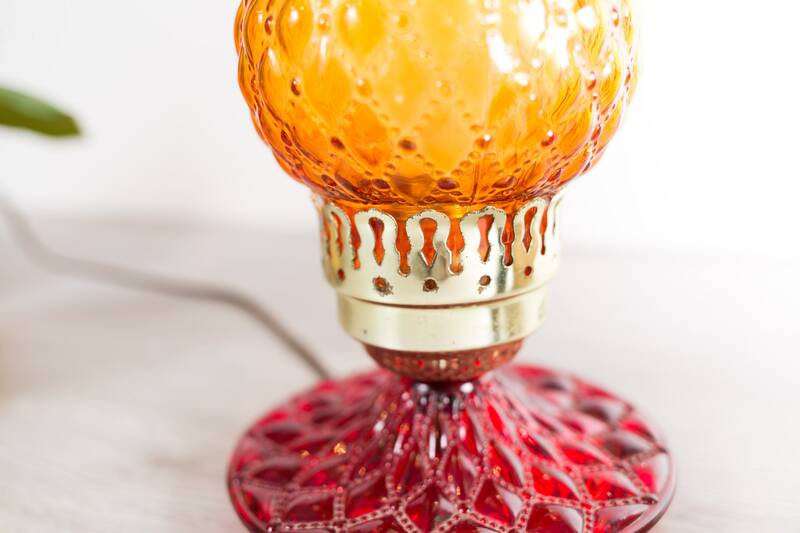 The glass is clear but has been painted.